Sudden, Flash, Nano, Short-Short, Micro, Minificción . . . 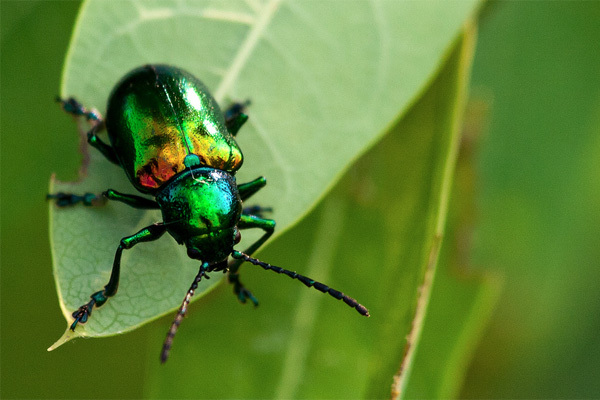 The popularity of these “iridescent insects” has continued to grow, worldwide, especially since the 1980s. In the United States, anthologies, collections, and chapbooks of them have sold about a million copies—not as many as a John Grisham best-seller, but notable nonetheless. TV and movie actors have read them to live audiences on Broadway, taped for airing later on National Public Radio’s Selected Shorts. Minificción world congresses have been held in Switzerland, Spain, Argentina, and other countries. In Great Britain, National Flash Fiction Day has been declared (as noted in the Guardian),2 as it has in New Zealand. Even if very short works represent freedom for writers, most of us still equate “literary fiction” with the novel (certainly not The Simpsons), which may be one reason critics have given so little attention to works as brief as flash or sudden fiction. If we take a longer view, though, a different picture emerges. Great writers have been writing very short stories since long before the novel. Petronius wrote short-shorts in ancient Rome, and Marie de France wrote them in medieval times. It’s true, ever since Defoe (at least in the English-speaking world), the novel—that is, the formal embodiment of narrative realism—has dominated fiction. But in the twentieth century, many writers, including Borges, Cortázar, Walser, Kafka, Buzzati, Calvino, Dinesen, and Kawabata, chose to return to very short works. Did they constitute a quiet renaissance of very short fiction that is only now, thanks to the vast powers of the Internet, flowering from Greenland to Indonesia with nanos, micros, suddens, and flashes? But by 1985, when James Thomas and I began gathering very short stories for an anthology, Sudden Fiction, experimental works had been cropping up in literary magazines for a decade. They were never formulaic, often surprising, always challenging. Some used novelistic realism but on a completely different scale. Others edged into metafiction, like Grace Paley’s funny, moving “Mother,” which begins with the narrator saying she always wanted to end a story with “and then she died,” and somehow manages to surprise us, a page later, by doing so. Others accelerated absurdly like Robert Fox’s luminous story “A Fable,” about a young man on the subway who is so, so happy going to his first day of work in the city that he falls in love with a pretty young woman seated across from him and they are married by the conductor before the next stop. Still others ran backward, like Hannah Voskuil’s touching “Currents,” told not in flashbacks (which return to the present) but in short paragraphs that journey relentlessly farther and farther into the past. These stories weren’t a renaissance of ancient forms. They were attempts to reinvent fiction. It’s its own self, and it’s intrinsically different from the short story and more like the sonnet or ghazal—two quick moves in opposite directions, dialectical moves, perhaps, and then a leap to a radical resolution that leaves the reader anxious in a particularly satisfying way. The source, the need, for the form seems to me to be the same need that created Norse kennings, Zen koans, Sufi tales, where language and metaphysics grapple for holds like Greek wrestlers, and not the need that created the novel or the short story, even, where language and the social sciences sleep peacefully inside one another like bourgeois spoons. As James Thomas and I continued collecting, we noticed the shorter the work, the more it questioned the terms of “traditional” (realist) short-story characteristics. James posed the question, “How short can a story be and still truly be a story?” and coined the title Flash Fiction for a new anthology, published in 1992. Jerome Stern pushed this idea further in his anthology, Micro Fiction, in 1996. The stories he collected were less than half as long as most of James’s flash fictions. A few years later, as the Internet became part of our lives, online magazines began to appear with ever-shorter fictions, new rules to the game, and of course new names, like quick fiction, nano fiction, and hint fiction. Critical thinking about short forms also began to appear, on sites like Double Room and FlashFictionNet, but the emphasis in the United States has always been on the creative and practical: the most popular topic about flash fiction is how to write it. Not surprisingly, most students would rather try writing a one-page flash than a twenty-five-page traditional story. Phillips, though a lyrical writer, tells her students that one-pagers should be “real stories.” For what’s needed for a real story—its minimum requirements—we can look beyond the United States. 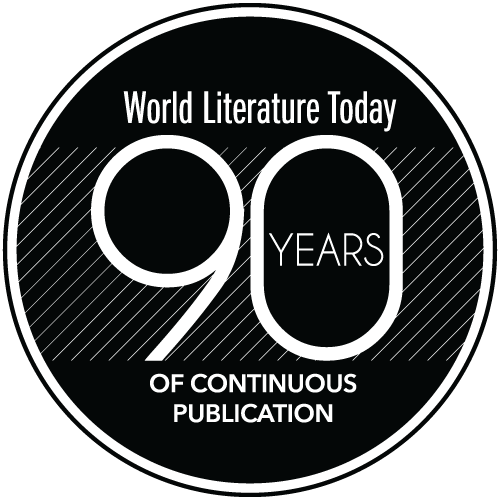 A few years ago, a world congress in very short fiction was held in the provincial capital of Neuquén, Argentina, attended by hundreds of scholars from around the world—Austria, Spain, Mexico, Brazil, Jamaica—the auditorium doors of the local university opened to the bright, late-spring days of November. I was there, too, with limited Spanish, though it was easy to understand the passion, humor, and brilliance in establishing the legitimacy of very short fiction in literary and cultural studies. Very short fictions in Latin America are, on the whole, shorter than in the United States, and questions about them are often concerned less with how short stories can be than with whether very short fictions need to be stories at all. At the same time, a micro or minificción, like a sudden or a flash, can be voiced in any known mode—realism, metafiction, fantasy, allegory, parable, anecdote. Those maddened sirens that howl roaming the city in search of Ulysses. The first thing we notice is the striking description of what may be ambulance sirens in a modern city, then, of course, how abruptly it stops, with the name Ulysses, and our recognition of the ancient story in which he is tied to the mast while the Sirens try to lure his ship onto the rocks; with that jolt of recognition come questions, reverberations. Are the ancient Sirens condemned to search forever, and even in a modern city, for the escaped Ulysses? Who is telling us this? We may think of Joyce’s Leopold Bloom, a modern everyman—are the sirens in search of him, or the narrator, or all of us? As our thoughts expand, we may forget that the twelve words of “The Search” do not even make a complete sentence. It contains epics—but is it a story? I’ve taken “The Search” from a study by Colin Peters, “Minificción: A Narratological Investigation,” published at the University of Vienna.6 The study draws on the work of some of the narratologists at the Argentina conference, such as Lauro Zavala and David Lagmanovich, as well as Gérard Genette, Tzvetan Todorov, Roland Barthes, and Shlomith Rimmon-Kenan, who gives the minimal requirement of a narrative as two events. (This echoes E. M. Forster’s famous statement in his 1927 Oxford lectures, “The king died and then the queen died is a story.”) By this criterion, “The Search” is not a story. Peters nonetheless accepts it as a minificción, simply concluding that narrative isn’t necessary to the genre. I agree with Butler. It’s a matter of focus. I collect very short fictions, but often like to lose myself in a novel. How lost can one get in a one-page story? Sometimes I want both, the intensity of the very short and the feel of a novel, however fleeting, and then I prefer a sudden fiction, which may run four or five pages. Many a wonderful writer prefers this length, authors who have won Obies, Oscars, Pulitzers, and even the Nobel. But we have mostly been thinking about extremely short fiction here. It’s appropriate to give the last word, literally, to Guillermo Samperio, a Mexican writer whose story “Fantasma” (“Phantasm” or “Ghost”) is a story of no words at all, just the title followed by a blank page. 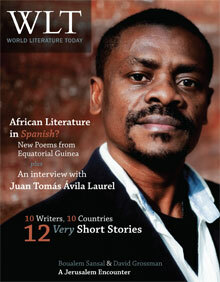 WLT’s feature in this issue of very short fiction is as various as you will find anywhere. These works, by eleven authors from ten countries, take many forms and range in length from sudden (about two pages) to flash (about a page) to micro (less than half a page). Carmen Boullosa’s story is an anecdote, Josefine Klougart’s is a prose poem, Hisham Bustani’s is a political rallying cry, and Vanessa Gebbie’s is a pure flash fiction—its vivid description doesn’t explain but rather suggests or invokes a story. Among the sudden fictions, Andrés Neuman’s and Lili Potpara’s stories are straightforward, but with emotional complexities for the reader to unfold. Luis Jorge Boone’s sudden is an homage to Jorge Luis Borges (note the “labyrinths” near the end). The micros challenge our intellects and powers of observation: Alex Epstein’s “More True Superheroes” asks what is truly extraordinary about characters; Clemens Setz’s “On the Conductivity of Monks” questions the relation between borrowed texts and fiction. If you are new to reading flashes and micros, be warned, they are so short they are easy to dismiss. Grace Paley said they “should be read like a poem, that is, slowly”—and if you find one particularly troubling, or to your liking, one of the pleasures of very short fiction is that it takes only a moment to reread and reflect. 1. Robert Shapard, James Thomas, and Ray Gonzalez, eds., Sudden Fiction Latino: Short-Short Stories from the United States and Latin America (W. W. Norton, 2010), 20. 2. David Gaffney, “Top Flash Fiction Writing Tips: David Gaffney,” Guardian, May 15, 2012 (www.guardian.co.uk/childrens-books-site/2012/may/15/flash-fiction-tips-david-gaffney?newsfeed=true). 3. Aleksandar Hemon, ed., Best European Fiction 2010 (Dalkey Archive Press, 2009), 374–75. 4. Robert Shapard & James Thomas, eds., Sudden Fiction: American Short-Short Stories (W. W. Norton, 1986), 247 (Joyce Carol Oates), 244–45 (Russell Banks). 5. Jayne Anne Phillips, “‘Cheers,’ (or) How I Taught Myself to Write,” in The Rose Metal Press Field Guide to Writing Flash Fiction, ed. Tara L. Masih (Rose Metal Press, 2009), 36, 37, 38. 7. Julio Ortega, “A Flash before the Bang,” in The Rose Metal Press Field Guide to Writing Flash Fiction, ed. Tara L. Masih (Rose Metal Press, 2009), 150–51. 8. Robert Olen Butler, “A Short Short Theory,” in The Rose Metal Press Field Guide to Writing Flash Fiction, ed. Tara L. Masih (Rose Metal Press, 2009), 102. Robert Shapard is editor, with James Thomas and Christopher Merrill, of an anthology of very short fiction forthcoming from W. W. Norton, Flash Fiction International. Another recent world anthology is Sudden Fiction Latino, very short fictions from Latin America and the United States, which he edited with James Thomas and Ray Gonzalez in 2010. He lives in Austin, Texas.